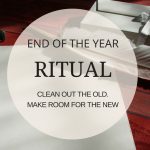 I told you about my end of the year ritual and, as you may have guessed, I also have a ritual for Easter. 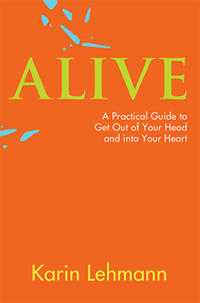 In the spirit of the holiday it has to do with leaving behind what’s outgrown, identifying the parts of your life that need a ‘rebirth’ and letting go of old beliefs and habits that are ready to die. For this I simply take some undisturbed time to reflect on myself and my life: What is causing me pain or stress? What conflicts keep showing up and how am I creating them? What self-limiting beliefs and habits are ready to evolve into something more mature and beautiful? If you want to do this exercise, take some quiet time for yourself. It doesn’t have to take long. 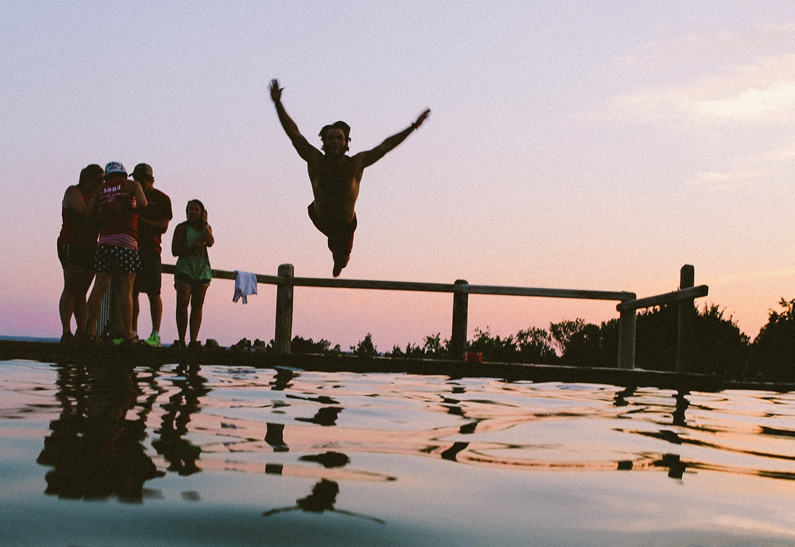 Take a few deep breaths, close your eyes and slowly let your life float by: What are the things that bring you pleasure and joy on a daily basis? What would you love to indulge in and do more of? And what parts of your life are causing irritation, restriction or tension? If you want, you can write these down. Once you find the pressure points, you can create constructive change by replacing old habits with new ones, by adjusting your life’s structure, or by eliminating them all together. What was calling for a change in my life this year was the way I ‘supervised’ my youngest daughter. I noticed that I was giving her too much direction and that what she needed was to start making bigger decisions on her own. My constant guidance wasn’t appropriate anymore and it was keeping her from growing (up). So, I told her that from now on I would stay out of her way: She could decide on her own when it was time for her to go to bed, how much or how little to play on her iPad, when to do her homework, etc. She was excited and took to her new-gained freedom with enthusiasm and a great sense of responsibility. While she took to limitless reading and playtime, she also started to structure her days so they would meet her own needs. Making sure she would get enough sleep, exercise and time for her school work. It was beautiful to see how with the outside constraints falling away there was a need for making wise choices. Freedom doesn’t only offer thrilling new opportunities it also calls us to stand up for our beliefs and convictions, for our actions as well as for our mistakes. Otherwise, we’ll get lost in limitless possibilities that ultimately leave us empty and alone. I also realized that there is a sensitive timing for freedom and for the responsibilities that go along with it. You have to be ready for the change that’s coming your way or it will burden you. Maybe that’s why so many people talk about freedom but when the time comes to reach for it they back away. Subconsciously they may fear the implications of taking care of their own needs. Whether in a relationship, a career or on a larger, global scale. What are the indicators that tell you that the timing is right? How do you know that you are ready to be your own creator… to go into the deeper silences of your heart, to take the responsibility for love, for children, or a new career? The implications are great. With this exercise you can take a step in that direction. By eliminating what’s causing you pain, you can find out what your joy is in life, what it is you would like to create, what you would like to be. So, look into your heart and soul and find the things that are calling for a change, for bigger responsibility, for rebirth and renewal. My daughter stepped up to the challenge brilliantly and with great pride. It was a joy to watch her grow into her new role. While we still have our family structure of joint meals, activities and playtime, she now is able to carve her own little world within that framework. What is your experience? What are the signs telling you that you are ready to take that next step? You Can’t See Your Own Brilliance. Here’s Why. Want to Find Your Passion? 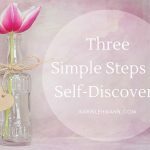 Three Simple Steps of Self-Discovery.